Since 2015 Pelican Rouge Coffee Roasters supports the coffee farmers in Cameroon to provide a better water network and sustainable management. This is a cooperation between LiveBuild and MVO Nederland. This year Pelican Rouge Coffee Roasters donated € 15.000 to the Sanyar Bassee project. On the 19th of June MVO Nederland donated €7.500 which makes the total project €22.500. 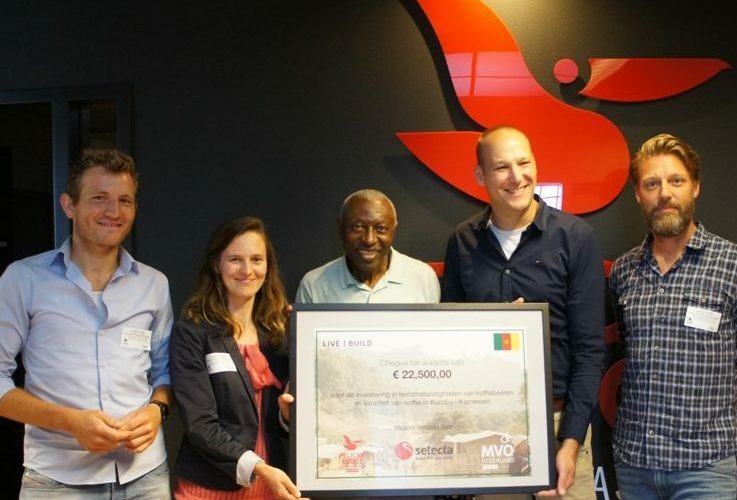 With this donation LiveBuild, MVO Nederland and Pelican Rouge Coffee Roasters work together to support the coffee famers with: sustainable agronomy practices and quality processing. Also with organizational development, good governance and leadership. Thirdly to improve the work and live condition of the coffee farmers.